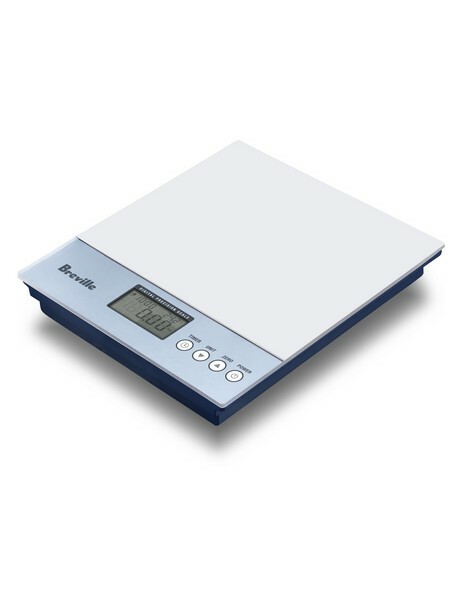 A Large LCD display shows weight measurements in 1 gram increments up to 5 kilograms. It features a 'tare' function that allows you to weigh only the ingredients and different loads consecutively without removing the original load. Other features include a converter that can switch between metric and imperial measurements . Also for international recipes, an ambient room temperature display, and an easy-clean weighing platform with touch pad buttons.